Each tin is hand packed with 1/5 lb of Thinking Putty By Crazy Aaron. This is much more than you get in a plastic egg! 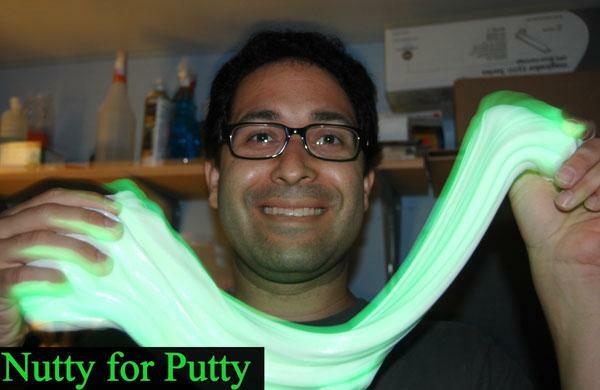 Krypton Green Glow in the Dark Thinking Putty is hypnotic and irresistible! Milky white in daylight, their glow magically appears when the lights dim. You can use our Blacklight Keychain to write messages on the putty and draw special designs. 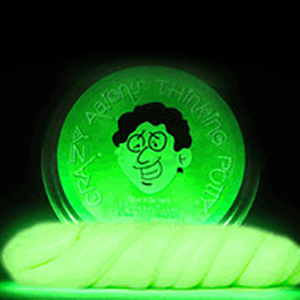 You can even do cool tricks with Glow in the Dark Thinking Putty. After exposure to light (the brighter, the better), these colors will glow for hours. Glow in the picture is a representation. Putty is a milky white color dur ing the day.